Stanford GSB empowers individuals to envision what is possible and make it happen through principled leadership and creative problem solving. The MBA and other programs engage the highest quality students with world-class faculty from across Stanford University's 7 schools, as well as alumni, Silicon Valley professionals, global executives, and the broader world community. The state-of-the-art Knight Management Center, built to the highest LEED Platinum environmental sustainability standards, offers flexible classroom spaces for hands-on learning, small group leadership labs, and team-based learning. Admission to Stanford is selective. Prospective students are evaluated in three areas: intellectual vitality, demonstrated leadership potential, and personal qualities and contributions. In short, Stanford is looking for outstanding candidates who will fit into the school's "innovative environment." With such subjective parameters (school officials...Admission to Stanford is selective. Prospective students are evaluated in three areas: intellectual vitality, demonstrated leadership potential, and personal qualities and contributions. In short, Stanford is looking for outstanding candidates who will fit into the school's "innovative environment." With such subjective parameters (school officials say admissions is an art, not a science), it is not surprising that Stanford does not have any minimum GMAT score or GPA requirements. Current students have a GMAT range from 540-800, with a median score of 730. It should come as no surprise that career placement from Stanford is strong. With “acces­sibility to innovative companies” and “an alumni network that will respond to any out­reach effort (you) make,” plus “job opportunities in many sectors,” the prospects are broad and deep. This is helped by Stanford GSB’s robust Career Management Center, which offers personal career advising, resume and cover letter preparation, as well as alumni mentoring and networking opportunities, company presentations, career work­shops, and job fairs. Perhaps that’s why many consider it “the best business school in the country for a general management degree.”The list of organizations that recruit MBAs from Stanford is 2,100 strong, pulling from the pool via career fairs, job postings, and online resume services. The employers make up a laundry list of the best in their field: Amazon.com, Apple, Bain & Company, Booz & Company, Boston Consulting Group, Cisco Systems, Dell, Education Pioneers, Genentech, General Mills, Goldman Sachs, Johnson & Johnson, Intel, Google, Hulu, IDEO, NBC Universal (GE), U.S. Government, Nike, VMware, Warner Bros., and many more. Salaries have been equally inviting, with the median base salary for graduating MBAs standing at $125,000, with a range between $20,000 and $260,000. Center for Entrepreneurial Studies at Stanford, Center for Leadership Development and Research, Center for Global Business and the Economy, Center for Social Innovation, Stanford Global Supply Chain Management Forum, Rock Center for Corporate Governance, Steyer-Taylor Center for Energy Policy and Finance, Program in Healthcare Innovation, and the Stanford Institute for Innovation in Developing Economies--nicknamed SEED (http://www.gsb.stanford.edu/seed/). There is a dedicated international advisor in the Student Life Office and other staff in key areas such as the CMC and MBA Admissions that help students: obtain a study visa, change current visa status, obtain a U.S. Social Security Number, and adapt to U.S. classroom environments. http://www.gsb.stanford.edu/mba/life_at_stanford/international_students.html Canadian Club, Global Management Program, Greater China Business Club, Europe Club, South Asian Students Association, International Development Club, Management Communications Program, Asian Society, African Business Club, Latin American Club and Student Association International Committee. MBA2s (and MBA1s after mid terms) are invited to tutor in the required courses. By volunteering time, students help continue the culture of cooperation and teamwork that makes the GSB special. China (Tsinghua School of Management and Economics) exchange program; also in April 2012 Stanford University opened a research center at Peking University to facility collaborative research across disciplines including medicine, engineering, and business. The Stanford MBA program has a Global Experience Requirement which requires all students to have a global experience through a study trip, service learning trip, summer work project, or exchange program in a country they have not lived or worked in before. The school offers more than a dozen study or service trips a year to help accomplish this. 14 study trip destinations in 2012-2013 included Brazil, Australia, China, India, Kenya & Rwanda, Switzerland & Austria, Thailand & Vietnam, China & Taiwan, Israel, Korea, Russia, Spain. 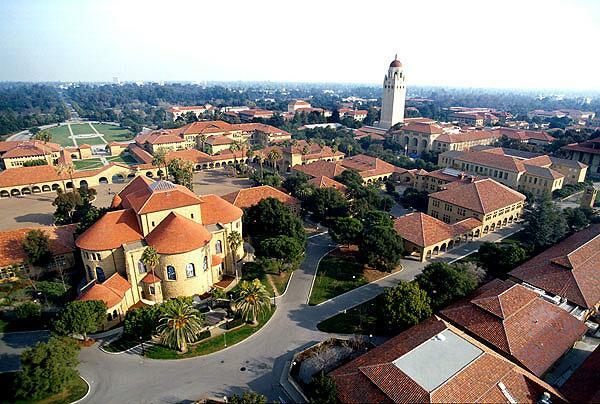 Charles Schwab - Founder and Chairman, Charles Schwab & Co.
Phil Knight - Founder and Chairman, Nike Inc.
Want more info about Stanford University, Stanford Graduate School of Business Full Time MBA? Get free advice from education experts and Noodle community members. What school is better for someone how wants to go into tech entrepreneurship, Harvard Business School or Stanford? You list two great choices for anyone pursuing an MBA here, regardless of your professional field of focus. As a future tech entrepreneur in particular, you would find extraordinary resources at both HBS and Stanford to further your goals. Should I get an MBA? I've worked for a year at a tech startup. Will it help my career?